Portraits: British 16th and 17th C 8 comments Is this portrait of Prince Rupert of the Rhine a studio copy, or could it be by Peter Lely? Darkened varnish makes it difficult to discern the status of this portrait but the model is definitely after Lely. There are at least four other versions on Art UK. The collection comments: ‘The crest in the top left corner means that it is part of the Bowles Collection which came to Worcester in 1850 and is mostly portraits. On the reverse these paintings originally had a pasted slip saying, ‘Presented to the Worcestershire Natural History Society through their President Sir Charles Hastings (illegible) by George Downing Bowles, clerk m. a. (illegible) of the Shrubbery, Great Malvern, Oct. 1st 1850’. This is not my family line, but I have details of Rev. George Downing Bowles (d 1863), who descends from Charles Bowles of Chatham, High Sheriff of Kent in 1658. He donated 26 "fine old oil paintings" to the museum in 1850. The right hand arms are those of his mother Anne, daughter of Rev. James Stillingfleet, Presbyter of Worcester. The left hand arms are Bowles, quartered with Draper. The crest is Bowles, the motto I don't recognise. The Stillingfleets would be my first line of investigation into provenance, as they had a long connection with Worcester. I hope this is helpful. Sorry, Anne Stillingfleet was his wife. I emailed Catharine McLeod and Diana Dethloff about 2 weeks ago. If we don't hear anything this week, I'll try them again before Christmas. I’m sure the coat of arms in the upper corner is a later addition and may well have been painted upon aquasition much later. Although the photo is some what difficult to tell there definitely appear to be some passages within this work that ring true to Lely himself. Peter, as mentioned in the intro, the coat-of-arms relates to the painting being formerly part of the Bowles Collection - you will find several others in the Worcester Collection with the same arms. They are those of the Rev George Downing Bowles (1791-1863), impaling those of his wife Ann Stillingfleet - it was he who donated paintings from the collection to Worcestershire Natural History Society in 1850, whence they later passed to Worcester City Museums. Bowles and Stillingfleet were married in 1818; so yes, the arms were clearly added to the portrait later as a sort of ownership mark - a rather misguided choice of one, it has to be said. There seem to be 2 more portraits of Prince Rupert Prince Rupert worth of consideration for "Peter Lely or studio?". One is at Philip Mould, ascribed to "Studio". http://philipmould.com/browse-art/old-masters/16th-17th-century/prince-rupert-lely-studio. In his entry Philip Mould states - "It appears that Rupert only sat to the great seventeenth-century court painter Sir Peter Lely once and the ad vivum head study was then used as the basis for a number of compositions by Lely and his talented studio assistants." Another one (with a slightly different pose) is at YCBA in CT, USA - https://collections.britishart.yale.edu/vufind/Record/1667617, where it is also considered as "Studio". 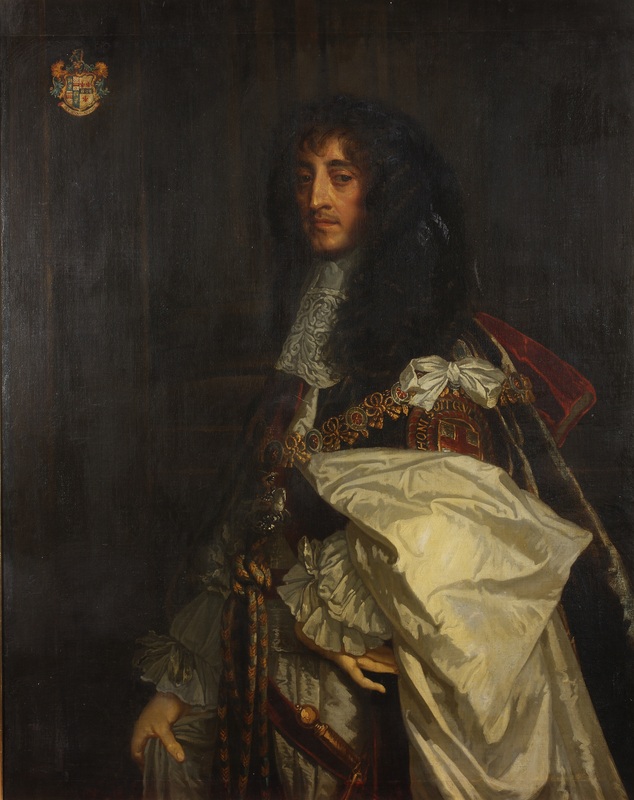 In Frederick Duleep Singh’s “PORTRAITS IN NORFOLK HOUSES“ book (referring to 1904 Christie's sale of portraits from Raynham Hall, Norfolk) I've found a description which matches this portrait - "PRINCE RUPERT. Lot 18. Standing to the left in armour, with long red sash, holding a baton in his right hand and pointing to a camp in the distance. Size 49 by 41 Purchased by Viscount Cohen, £105." Any response from Marion Richards enquiry to "Catherine McLeod and Diana Dethloff"? Barry, thank you for your comments, including the list of portraits. I had no reply to my email to Catharine McLeod and Diana Dethloff. I'll try again. Please support your comments with evidence or arguments.